You don’t own a car, but you still need coverage. This sounds like the worst of both worlds but having non-owners insurance can help you save money in the long run. It’s a special kind of policy that gives you liability coverage when you’re borrowing, renting or sharing a car. The good news is that non-owner car insurance is affordable! The bad news? It can be hard to find. Learn more about your options. Because non-owners insurance is limited in what it covers, it’s usually much cheaper than a standard coverage policy. It’s also considered secondary coverage, which means it pays for losses that aren’t covered by the actual car owner’s insurance. Which Companies Offer Non-Owners Car Insurance? The General – which specializes in insuring drivers who have past driving violations or accidents, insurance lapses or less than perfect credit. Direct General Auto Insurance – offers affordable and flexible insurance plans to drivers with non-standard insurance needs, all across the south and the southeastern U.S.
Dairyland Auto Insurance – based in Wisconsin, provides high-quality car insurance to high-risk drivers. GEICO – insures more than 27 million vehicles nationwide, offers non-owner insurance policies. Compare against other insurers for the best rates. Acceptance Insurance – offers low-cost auto insurance, including non-owner policies, in 12 states. Acuity – Whether it’s for rental car use or court-mandated, they can cover you. Good2Go – You could see a 25% discount by converting your current policy. Now available in 12 states. Nationwide – If you’re in a qualifying state, they may be able to help you out with this type of coverage. SafeAuto – See how their rates compare against the other companies. Some insurance companies, such as Nationwide and Progressive, sell non-owner car insurance to businesses that want to cover employees who drive on the job. Other companies may offer these policies, but don’t advertise them. If you’re currently insured, it may be worth calling your insurance company to ask if they can sell you a non-owner or liability-only policy. Because you don’t own a car, but you often borrow one. Let’s say your friend often lends you his car so you can get to work, but he worries about his financial risk in case you get into an accident. In situations like these, it’s smart to protect yourself with a non-owner policy. Because you’re between cars. Your beloved WRX just died with 230,000 miles on the odometer, but you don’t have the cash for a new car. While you’re between cars, it might be a good idea to get non-owner car insurance.Of course, you’d rather take the money you’d spend on insurance premiums and put it in your new-car-fund jar. However, if you let your insurance lapse, even for just a few months, you’ll wind up paying much higher premiums once you reinstate it, and insurers may be reluctant to cover you. The increase will shrink over time, but you’re still losing money. With a non-owner car insurance policy, you can avoid the lapse. Because you’re required to file an SR-22 or FR-44. Maybe you totaled your car in a DUI accident and can’t afford to buy a new one. Even though you don’t own a car, you’re told you need to carry car insurance to keep your driver’s license, because of your SR-22 status. It’s not fair, but that’s the way it is — so you must find an SR-22 non-owners car insurance policy.It won’t be super cheap, but at least non-owners insurance is less expensive than conventional SR-22 insurance. In most states, you’ll have to carry SR-22 insurance for three years. Grit your teeth, be patient and remember that eventually, your record will be clear. And of course, you’ll never drink and drive again. Because you often rent cars or use car-sharing services. You live in a big city and use public transportation to get around. But you sometimes use a car for grocery runs and Ikea buying sprees. If you use a car-sharing service, like Zipcar, do you need non-owner car insurance? Car-sharing services do typically cover their customers with liability insurance. But it can be smart to protect yourself with a personal non-owner policy, just in case you cause an accident that exceeds the limits of the company policy. You might also want to buy non-owners insurance if you frequently rent cars. Your credit card may include a collision damage waiver to cover damage to a rental car, but you still need liability coverage. 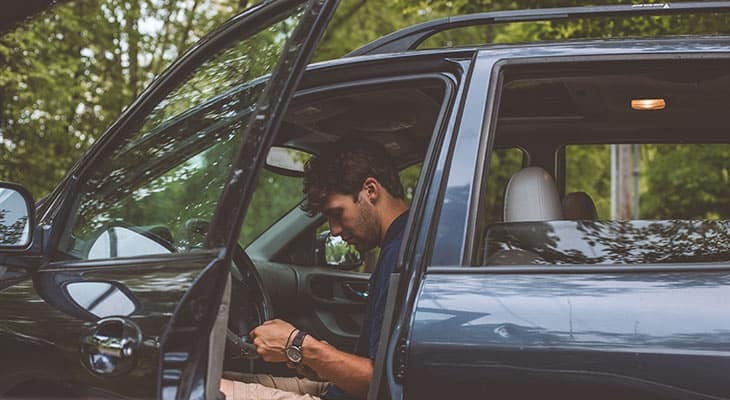 Having your own car insurance coverage can save you money over buying the rental car company’s liability insurance — but run the numbers before you commit. Whatever kind of car insurance you need, don’t buy blindly! Shop for the best rate on Compare.com. You can get multiple personalized car insurance quotes in minutes — start here!